Pattaya is a vibrant, electric and completely alive city of Thailand with bustling night crowds and a scenic atmosphere. 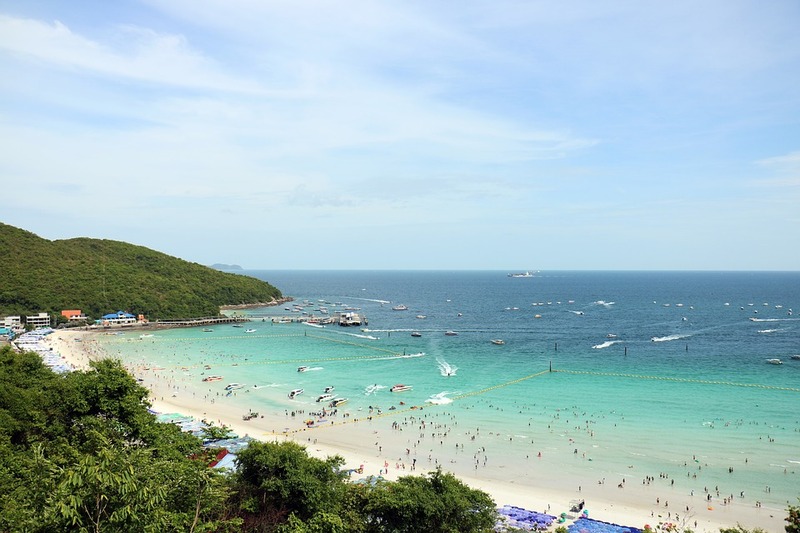 If you’re planning to spend some time at Pattaya Beach, here are some top things to do. Whether your passion is for outdoor or indoor games, Pattaya beach will have something to offer. Walk along the stretch of about four kilometres, and you will get to see a host of activities going on. Even if you are not up for any activity, you can still relax in a beach chair and watch how the activities are going on. Those looking for Pattaya hotel booking options can consider reserving their stay at a hotel like Travelodge Pattaya since it’s a mere 10-minute drive to the Pattaya Beach. If you need adventure, there are activities such as golf, tennis, parasailing, and shooting. Parasailing is quite popular among the visitors though it requires rigorous practice and skill. The best thing about this activity is that you can enjoy this sport at a cheap rate. The parachutes, coloured impressively, dominate Pattaya beach. These parachutes are towed by a speedboat. The karts and safety gear are available at many outlets. You will come to love the adventurous thrill of this exciting activity. If you are not familiar with go-karting, enlist the services of an instructor and master this adventurous water sport. Also known as ‘Teddy Island’, the Teddy Bear Museum is a one of a kind and extremely fun family-friendly experience. Located in the Northern end of the Beach Road, this museum features more than 1,000 stuffed animals and it will take you on an unforgettable journey through fantasy and history.